For thousands of years philosophers have been trying to perfect a system for identifying patterns in human behavior and using these patterns to place individuals into predefined categories or types. Although it may have started with the Egyptians or Mesopotamians, the first typology of temperament is credited to an Ancient Greek physician named Hippocrates who developed a model of personality types called The Four Humors. Typology of temperament is as old as mythology, so it is probably no coincidence that both were popularized by the Ancient Greeks. A myth, by its definition, explains how the world came to be through a story where the main characters are gods, supernatural heroes, or extraordinary human beings. Another word for a mythological or symbolic character is a “metaphor” or “archetype”, a notion that originated with Plato and was expanded upon two thousand years later by Swiss psychiatrist Carl Jung. In Jungian psychology, archetypes are patterns of thought and images that exist in all cultures and individuals and are unconsciously expressed through art, literature, and other patterns of behavior. At the end of this article you will have an opportunity to take a ten-minute test to determine your MBTI. 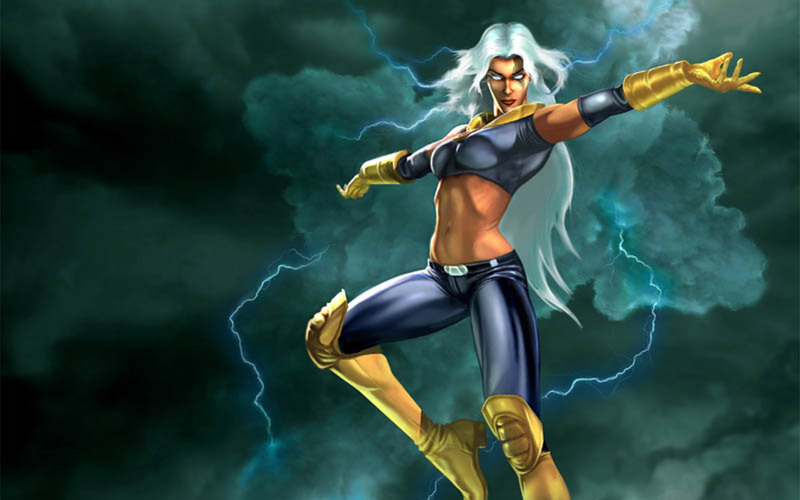 While Ancient Greek myths and characters continue to fascinate us today through numerous remakes and movie adaptations, a new breed of mythology and archetypes has appeared in the last century via superhero comics. What happened in the 5th century B.C. is happening again today, except that characters such as Zeus, Apollo, and Hercules have been replaced with the likes of Superman, Batman, and the X-Men. 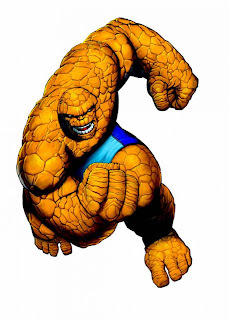 What follows is an overview of today’s most popular temperament typology, using some of today’s most popular and recognizable archetypes as examples -- superheroes and super villains. ENFJs are loyal helpers and idealistic leaders who see the big picture and are deeply committed to work they believe in. They provide creative and charismatic leadership and help others fulfill their potential. In their enthusiastic rush towards the next challenge, ENFJs sometimes make hasty decisions without gathering all the facts. 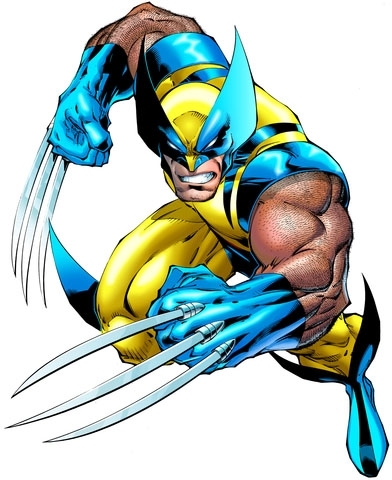 They also have a tendency to be impatient with people who are inefficient or uncooperative, such as Wolverine who has the opposite mental function of Cyclops (Cyclops is an NF while Wolverine is an ST). 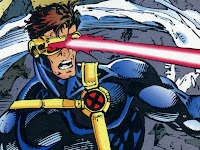 Cyclops believes in Professor X’s vision and wants to be a leader more than anything. He’s dating Jean Grey because they both see the vision of Professor X. 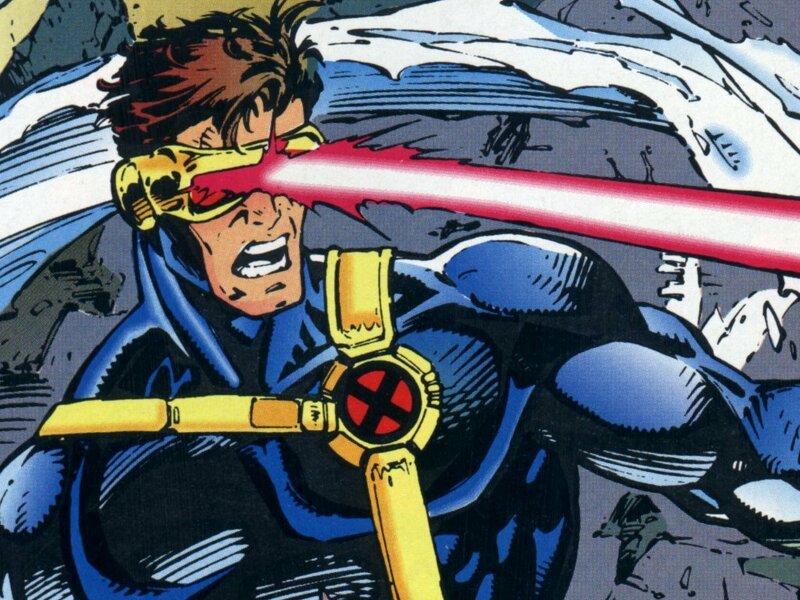 If he weren't a mutant leader, Cyclops would probably be a public relations specialist, marketing executive, management consultant, or CEO of a non-profit organization. Insightful, organized, and decisive, INFJs want to understand other people’s motivations. They are extremely creative, which may not be apparent to most people as they introvert their creativity. They are often perfectionists who are sensitive to criticism. INFJs have difficulty working in tension-filled environments, being direct, attending to details, and being spontaneous, but they have a clear vision about serving the common good. 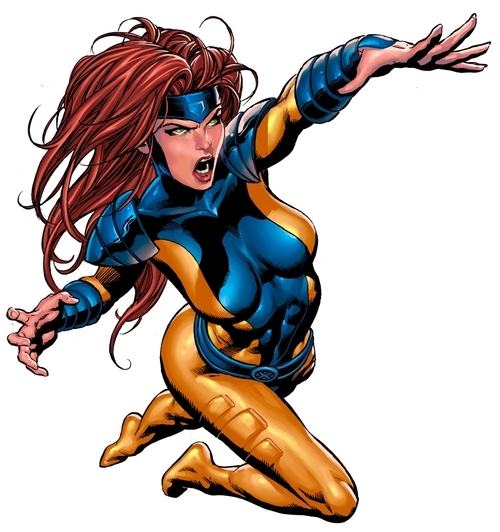 Jean Grey has the same dominant function as Professor X (intuition), which is why she is committed to his vision and why she is a good romantic match for Cyclops. Is Bruce Banner angry all the time, but just really good at keeping a lid on it? 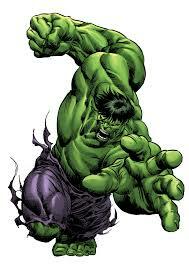 Does anyone remember the Bruce Banner from the 80s T.V. show, the socially withdrawn and emotionally reserved drifter who said “leave me alone,” yet helped a stranger in every episode at great risk to exposing his terrible secret? And why was Banner looking at gamma rays to begin with? To help society, to create change, to heal others. Idealistic, empathetic, perceptive, and quick to see possibilities, INFPs want an external life that is consistent with their inner one. They have the ability to work well alone and focus on one issue or idea in depth. They are highly adaptable and accepting until one of their values is threatened. Don’t make me angry, you wouldn't like me when I’m angry. Whereas INFJs hide their creativity, INFPs hide their sensitivity. Underneath their calm and cool façade is a great but restrained intensity of feeling. INFPs are not good at criticizing others, but they are great at self-reproach, which is physically manifested in various renditions of the Hulk cartoon where Hulk has an obvious hatred of Bruce Banner. 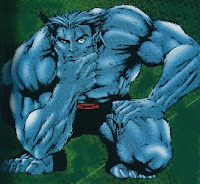 If he weren't so busy trying to find a cure for his raging alter-ego, Bruce Banner would probably be channeling his feelings into poetry or prose or anything dynamic and expressive that doesn't include leveling Brooklyn. Driven and ambitious, the ENTJ is the individual most likely to move up the corporate ladder faster than any other type. They are life’s natural leaders - the CEO's of innovative corporations, creative problem solvers who examine issues objectively. They have high standards and a strong work ethic, but they have a tendency to step on peoples’ toes either through a lack of diplomacy or outright intimidation. Magneto is an empathetic anti-hero, one possessed with the ennobling qualities of idealism and courage. 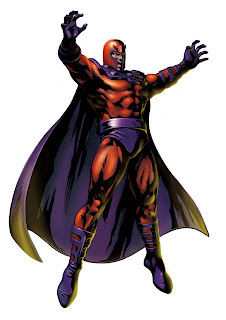 To Magneto, mankind is the villain. Nazis killed his parents during the holocaust, and now mankind is executing genocide on his kind once again. In X-Men First Class, once Eric discover he's not alone, he quickly goes from apprentice to mutant leader after parting ways with Professor X over ideological differences. ENTJs want to be the kings of everything, which is why some of the most memorable super villains, such as The Joker, are also ENTJs. 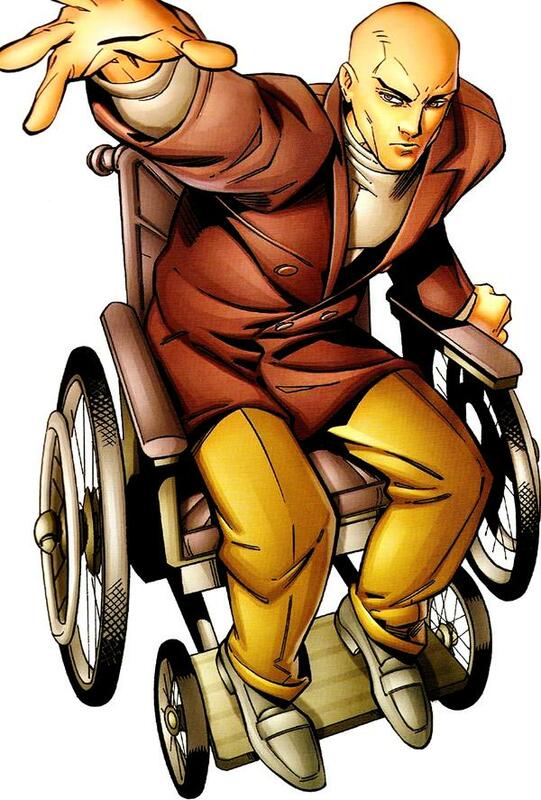 Some might argue that Professor X is more of a feeler than a thinker, but why was he such good friends with Magneto? Why did they enjoy playing chess? Life’s strategists and master minds, INTJs possess a confidence and commitment to their vision, which often involves directing their creativity towards improved systems or models. Although they're driven and self-directed, INTJs can be too preoccupied with achieving their ideas to deal with practical realities, diplomacy, or social niceties. 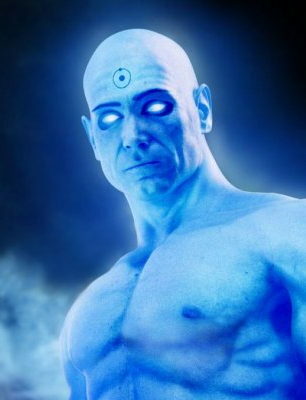 Dr. Manhattan is a super genius, but he grows increasingly distant from the rest of humanity as he pursues concepts beyond everyone’s reach, frustrating his girlfriend who has a hard time relating to him. If they weren't superheroes, you might find these INTJs in careers such as investment banking, computer systems analysis, psychiatry, or law. Quick, ingenious, energetic, sociable, and outspoken, ENTPs are creative entrepreneurs and inventors who make things work better. They love creativity more than money, which is why Tony Stark was more focused on his suit than his company’s falling stock prices in the 2008 movie Iron Man. ENTPs work well under pressure and have a talent for making lemonade out of life’s lemons. Who else could design and develop an Iron Man suit in a cave out of a pile of scraps before his kidnappers, sure to kill him, caught on to what he was doing? ENTPs are resourceful problem solvers who seldom do the same thing the same way, but like all types they have their weaknesses. For one, they are not good at following through on details, which is why Tony Stark needs Pepper Potts to order an espresso, take out the trash, or remember his social security number. ENTPs can also be rash and impulsive. 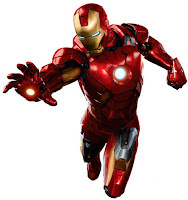 In the movie Iron Man 3, as brilliant as Tony Stark was, why did he go on national T.V. to tell his archenemy where he lived when he obviously wasn't prepared for the home decimation that followed? Creative, logical, and independent, INTPs are society’s puzzle solvers. Confident in their ideas and vision, they are willing to take risks, try new things, and overcome obstacles. Their biggest foe is the ENTJ because they both use logic against each other, but how that logic plays out is quite different. Joker plans what he has to do; Batman reacts. INTPs are highly motivated by principle. 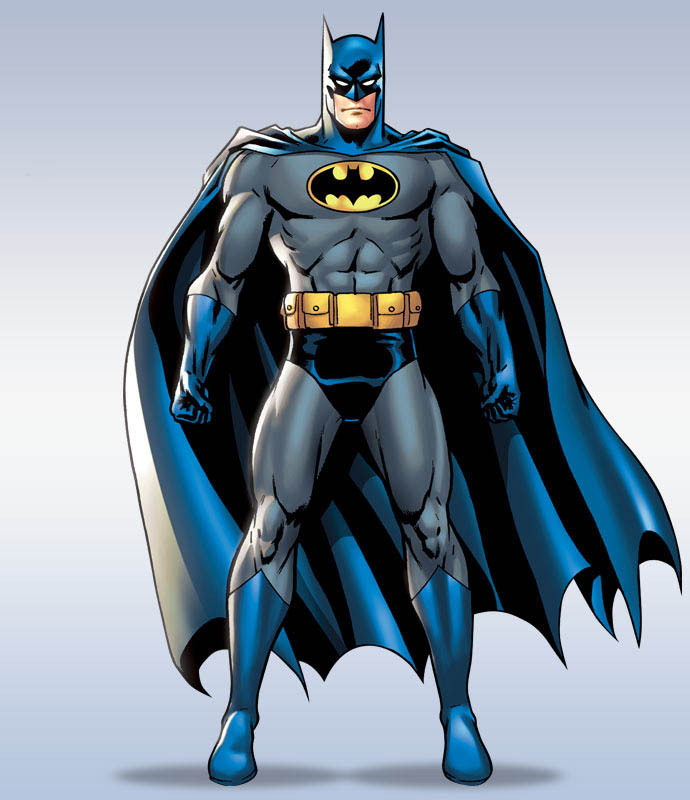 For Batman, it’s about becoming more than just a man – it’s about becoming a symbol through which he brings justice and “turns fear against those that prey on the fearful.” INTPs often find fulfilling careers in software development, law, or academia. INTPs are all about justice and fairness. As part of his initiation ritual into the League of Shadows, Bruce Wayne must execute a man, yet he refuses to do so, at great risk to his membership status (and his life), unless the man is given a trial. 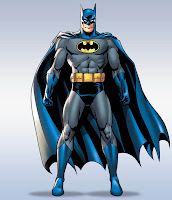 Those who say Batman is an INTJ overlook the fact that the dominant function of an INTJ is intuition, but Batman had to go to Fox whenever he needed help coming up with innovative ideas. INTPs also have a weakness socializing, showing emotion, and talking about feelings. Batman is a loner, but in a different way than the Hulk. Whereas the Hulk loses himself because he is not understood, Batman would lose himself in his mansion because things weren't fair. Practical, realistic, and decisive, ESTJs are good at organizing people to get things done in the most efficient way possible. They possess a clear work ethic and a belief in traditional structure. If they’re not Captain America, they are managers in an accounting firm or at a military base where painting by the numbers is preferred. They are not particularly good at showing appreciation, and they can be impatient with people who think outside the box. In the 2012 Avengers movie, Captain America and Iron Man frequently trade barbs. 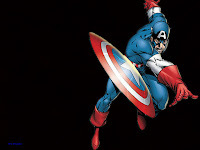 Captain America regards Iron Man’s playful taunts at Bruce Banner as irresponsible and distracting from the main task. Iron Man comes back with hey, what about this and what about that and why do you think Fury brought us in now? Captain America has no response other than, “We have orders. We should follow them.” In other words, Iron Man says let’s look at the big picture and Captain America says let’s paint by the numbers. Realistic, thorough, dependable, and determined, ISTJs are masters of information. They proceed based on logic and work towards a goal without distraction. They may work as accountants, stockbrokers, CIOs, or analysts for the CIA or FBI. ISTJs have a tendency to lose themselves in the details of a project or operation and can be quite inflexible in accepting another point of view. 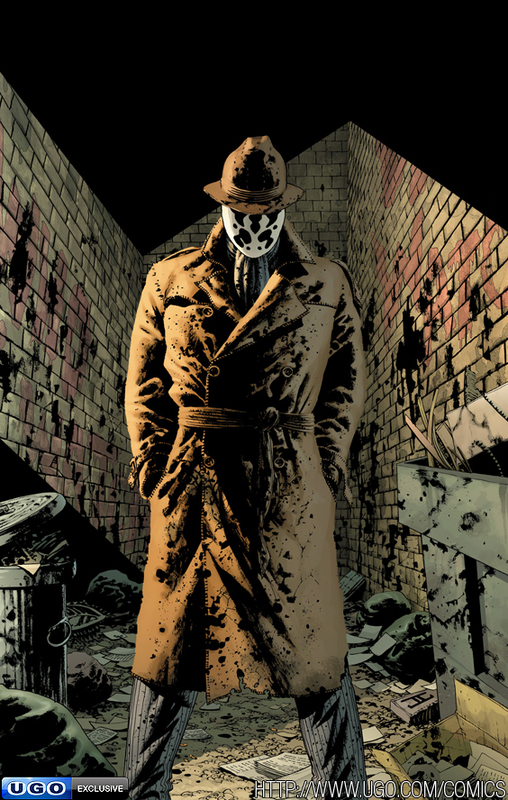 Rorschach from The Watchmen is a throwback to the old school detective. He detests people, he’s judgmental based on his principles, he sniffs for details and clues, and he keeps a journal of his activities, always citing the date and time like Sergeant Friday. Yet, he is not particularly good at seeing the big picture. Rorschach would rather die clinging to his principles than accept the ends-justify-the-means greater good vision of Ozymandias. Cooperative, nurturing, and helpful, ESFJs are life’s traditional helpers. If she weren't former queen consort of Wakanda and a mutant with the power to change the weather, Storm would probably be a nurse, event planner, or school administrator. ESFJs are leaders of things that are known. Storm sculpts weather like a principal sculpts a school - all helping, all very tangible. 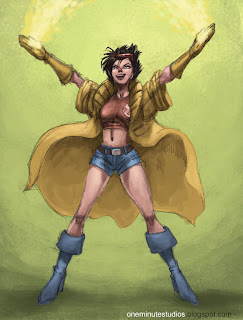 She fights back in sensing ways, and what is a more quintessential way to express sensation than through weather? People of this type have a tendency to become drained by taking on others’ emotional burdens, and they are not known for strategy. As an extrovert, she needs space. She goes to claustrophobia easily, as extroverts can’t hide in their head like Introverts can. Responsible, hard-working, and cooperative, ISFJs love helping people. When they make a promise, they keep it. In the 1978 movie Superman, Lex Luther’s assistant agrees to remove the Kryptonite from around Superman’s neck if, before saving the world, he first saves her mother in Hackensack, New Jersey. And what is the first thing he does when she removes the Kryptonite? He keeps his promise to a stranger before saving Lois Lane. There is something about the “S” (sensing) that makes people of this type have a binding aspect to them. But Kryptonite, in a way, is a metaphor for the ISFJ’s weakness. How come Superman becomes wrapped up in the most obvious debacles? Why is it so easy to wrap Kryptonite around his neck? ISFJs are not the most intuitive or strategic of the types. They also tend to take on too much and neglect their own needs. 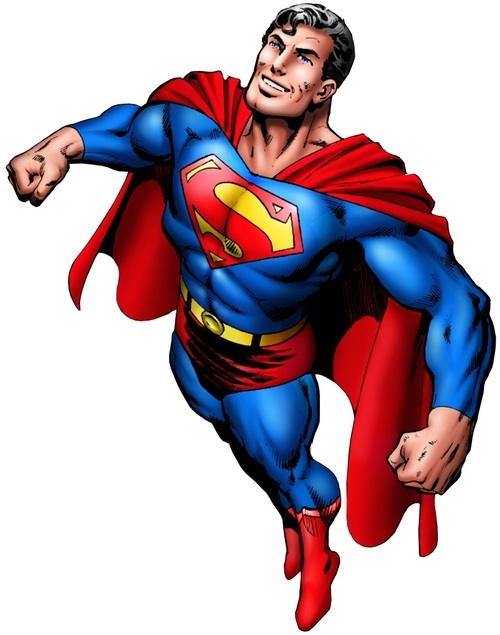 If he weren't saving people with his strength, speed, or laser vision, Clark Kent would probably make a good doctor, counselor, farmer, or athletic trainer. Energetic and good-in-the-moment, these are the Action Jackson guys who make work fun and exciting. They are a natural fit in occupations such as firemen or policemen where they can be part of a team, take risks, and take action without being bothered with details or time management. ESTPs are not very future-oriented. If you want to bore an ESTP, talk to them about the future. They love sports, being in the moment, but theories and ideas bore the hell out of them. Their instinct for action, while useful, can at times make them seem like a bull in a china shop. Calm and cool in a crisis, these are the Action Jackson guys with an investigative side, like Wolverine who spends a considerable amount of time trying to figure out his past in X2. ISTPs are good at working with their hands and with tools, so when they are not at work, they may be tinkering on a car or motorcycle. They don’t like to talk much, and when they do talk their comments can be blunt and insensitive. Independent and restless, ISTPs can become easily bored. When it comes to their feelings, they are more likely to drink on it than deal with it. If Wolverine wasn't a mutant, he would likely be a race car driver, police officer, mechanic, or forester. Fun, action-oriented, and impulsive in a good way, ESFPs are sensitive to people’s needs and desire to help them in practical ways. They are willing to take calculated risks and try new approaches, especially for people and organizations they care about. ESFPs have great reactions to situations, but they have difficulty disciplining themselves or others. 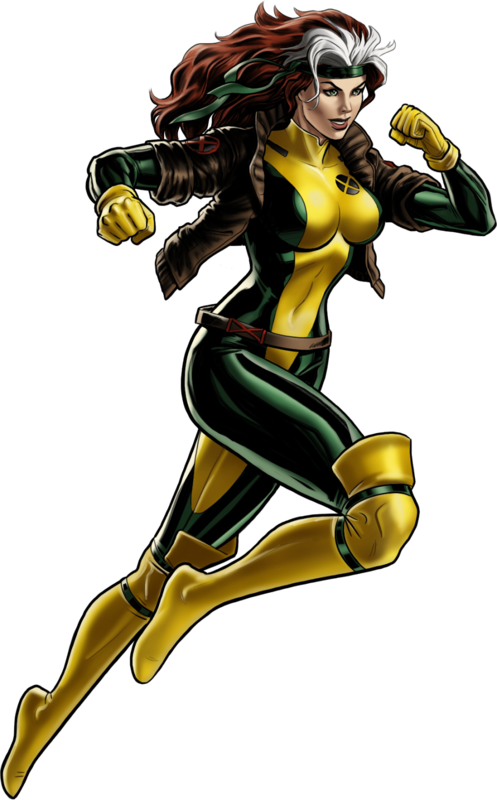 They are probably the least strategic of all the X-Men, but what they lack in innovation they make up for with flexibility, optimism, and excellent interpersonal skills. If they weren't mutants, Rogue and Gambit would probably be performers, promoters, salesmen, or the teachers that every kid hopes they get. ISFPs are probably the most unpredictable of the introverted types. 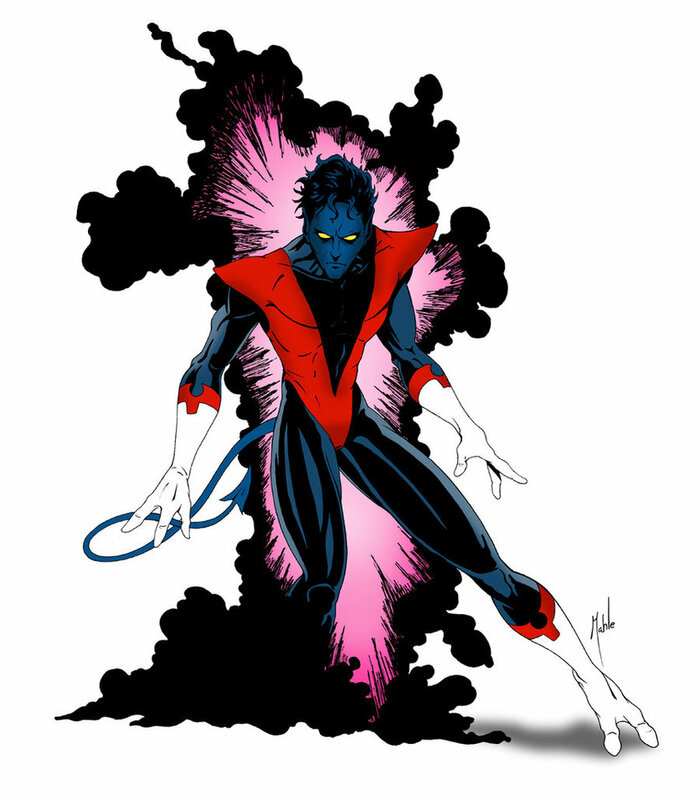 Why did Professor X have such a hard time locating Nightcrawler? Was it because he liked teleporting? Or seeking out new experiences? Or both? ISFPs are also the most relaxed of all types. Friendly, sensitive, generous, and kind, they are practical and realistic helpers who like to help people in tangible ways, as long as it doesn't involve disciplining or criticizing others. If he wasn't hanging from church rafters, Nightcrawler might find career satisfaction as a designer, carpenter, dancer, painter, or chef. 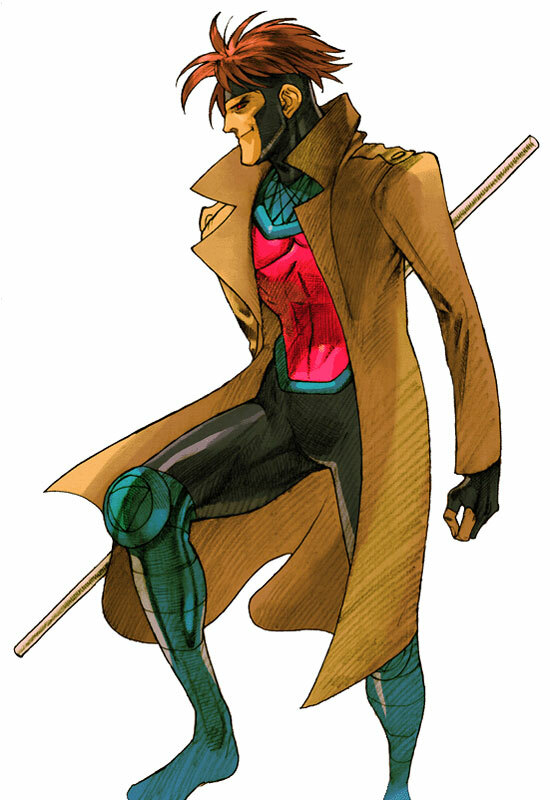 Nightcrawler’s stint in the circus is consistent with the ISFP’s artistic and aesthetic tendencies. He can be a loyal follower and team player, especially when the team takes time to get to know him and appreciate his personal values. There are people of all types in all kinds of careers, but the MBTI has helped many people find more fulfilling careers. Polls consistently show that roughly 50% of working adults would rather be doing something else, something that makes them tick. But what is that something else? Perhaps they haven’t figured it out. Perhaps this is you. But once we figure it out, we will be able to find a better career match – one that motivates us, energizes us, and fills us with a greater sense of purpose than a paycheck. And who knows, maybe even lets us save the world in our own small way.